Dr John Moore-Gillon qualified with distinction from St Thomas’ Hospital Medical School and the University of Cambridge in 1976. He was appointed to the Consultant staff of St Bartholomew’s Hospital in 1988, and is now Consultant Physician Emeritus at St Bartholomew’s and The Royal London Hospitals. John Moore-Gillon is Past Hon Secretary of the British Thoracic Society and a Past President of the British Lung Foundation. He has been a member of numerous national committees in the field of Respiratory Medicine, particularly tuberculosis, and is currently Chairman of the Strategy Group overseeing the Mesothelioma Research Network set up by the British Lung Foundation. 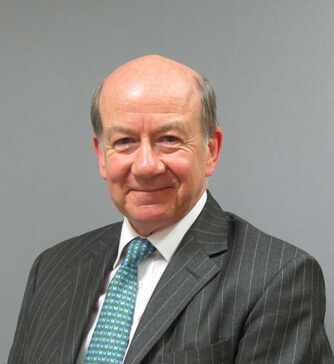 He is Medical Adviser to the Department of Business, Energy and Industrial Strategy on occupational diseases of the lung, and has an extensive practice as an expert witness both in the UK and internationally in occupational respiratory conditions. His clinical practice includes the diagnosis and management of most respiratory conditions, including asthma, chronic obstructive pulmonary disease (COPD), cough and respiratory infections. He continues to have an active lecturing programme, to both medical and legal audiences.